Our menus are seasonally written to offer the best of the British countryside and larder. We offer the very best in quality produce and work tirelessly to ensure that our produce is sourced sustainably and responsibly. 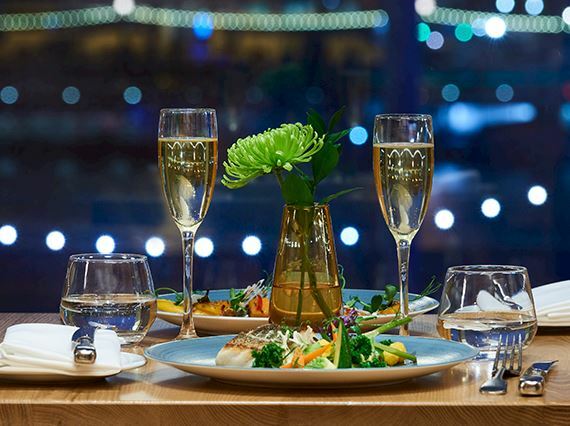 Start your evening with a delicious meal at Gillray's Steakhouse & Bar before enjoying the show. 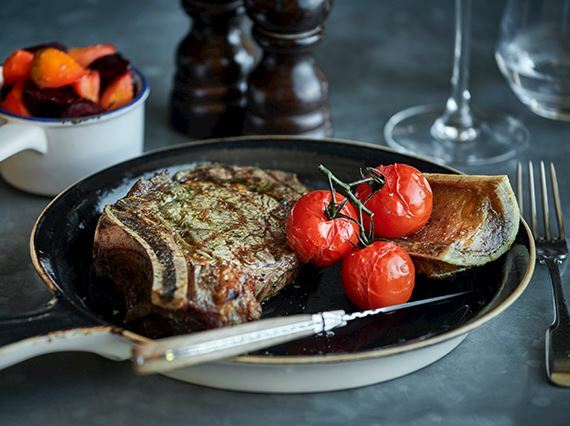 A special offer pre- and post-theatre dinner menu is available Monday - Friday, including 2 courses from our 'Taste of Gillray's ' menu and a glass of sparkling for £ 23. From 5-6pm - 9-10.30pm, Monday - Friday, at Gillray's Steakhouse. Originating from the tradition of a large meal after Sunday service, Britains just love their Sunday roasts and so do we. Deliciously prepared crispy outside-fluffy-inside potatoes, our signature puffy Yorkshires and the finest vegetables accompany our top quality meats for a truly British Steakhouse experience on a Sunday. From 12pm - 6pm, every Sunday, at Gillray's Steakhouse. 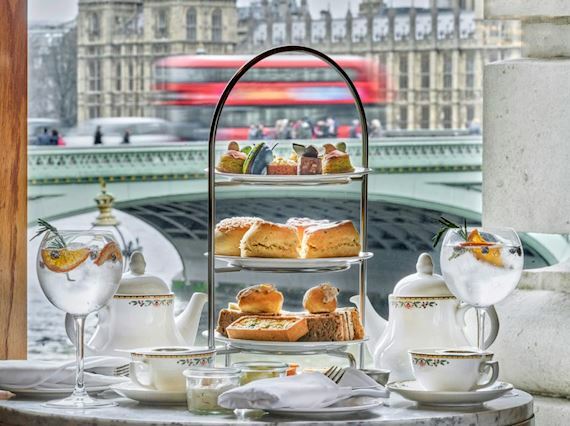 What is more quintessentially British than Afternoon Tea? And what better view to get in London than those of the Houses of Parliament or London Eye. 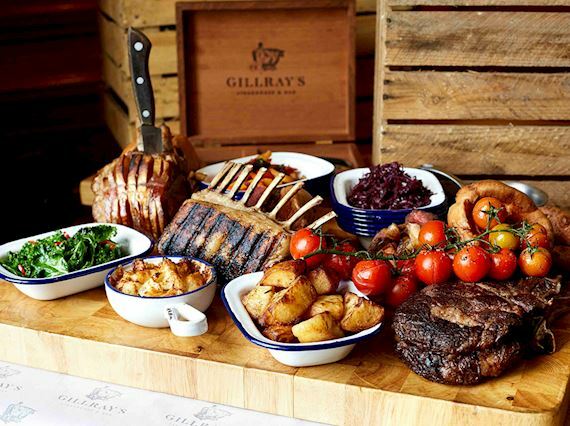 Gillray's Bar has it all and offers you now a new twist on the English Classic. Enjoy unlimited Gin & Tonic with your afternoon tea at Gillray's Bar during 1pm - 4pm, every day. With stunning views, excellent service and a cosy atmosphere. 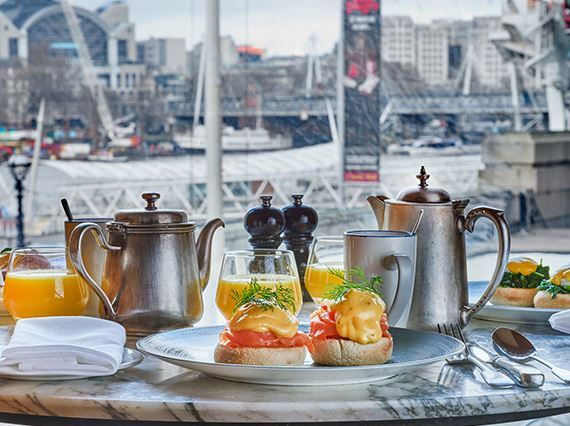 Wake up to the most iconic views of London's landmarks while enjoying our buffet breakfast at Gillray's. From hot and warm dishes to the a la carte offer, a selection to please every palate awaits. We also offer a selection of Chinese specialities along with traditional English and Continental breakfast offers.